Suspected Boko Haram gunmen kidnapped eight girls aged 12 to 15 from a village near one of their strongholds in northeast Nigeria overnight, police and residents say. Suspected Boko Haram gunmen kidnapped eight girls from a village near one of their strongholds in northeastern Nigeria overnight, police and residents said on Tuesday. As well, Nigerian President Goodluck Jonathan welcomed a U.S. offer to send a team to Nigeria to support the government's response to the kidnapping of more than 200 schoolgirls by an Islamist militant group, the U.S. State Department said on Tuesday. Spokeswoman Jen Psaki said the U.S. embassy in Nigeria is "prepared to form a co-ordination cell" that would include U.S. military personnel and law enforcement officials with expertise in investigations and hostage negotiations. The group Boko Haram kidnapped the schoolgirls last month and threatened to sell them into slavery. Suspected Boko Haram gunmen kidnapped eight more girls from a village near one of the Islamists' strongholds in northeastern Nigeria overnight, police and residents said. "They were many, and all of them carried guns. They came in two vehicles painted in army colour. They started shooting in our village," Musa said by telephone from the village in the hilly Gwoza area, Boko Haram's main base. UNICEF issued a statement Tuesday condemning the new kidnappings. 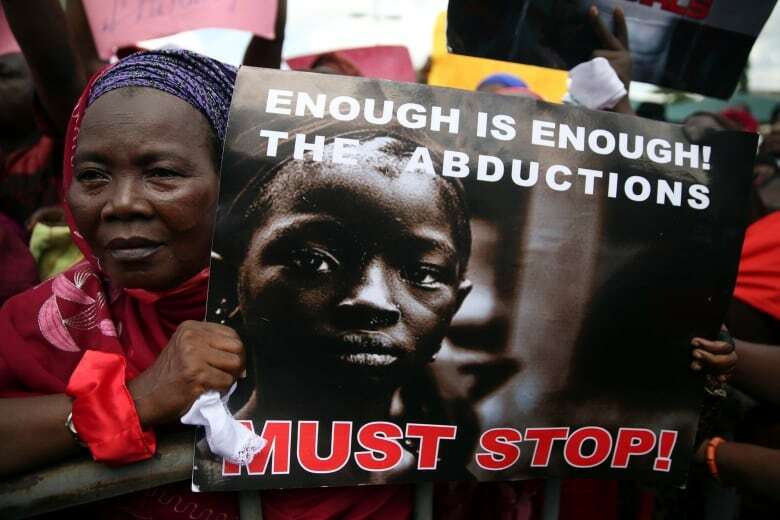 "The abduction of eight more girls in Nigeria is an outrage and a worsening nightmare for the girls themselves and for the families of the more than 200 girls who have been stolen from their communities in the last several weeks," it said. Boko Haram leader Abubakar Shekau threatened in a video released to the media on Monday to sell the girls abducted from a secondary school on April 14 "on the market." Boko Haram, the main security threat to Africa's leading energy producer, is growing bolder and appears better armed than ever. April's mass kidnapping occurred on the day a bomb blast, also claimed by Boko Haram, killed 75 people on the edge of Abuja, the first attack on the capital in two years. Another bomb in roughly the same place killed 19 people last week, all events that have embarrassed the government before a World Economic Forum (WEF) meeting on Africa in Abuja from May 7-9. The military's inability to find the girls in three weeks, has led to protests in the northeast, Abuja and Lagos, the commercial capital. More are expected on Tuesday in Abuja, just as delegates will be collecting their badges to allow them entry to the hotel where the forum will take place. Earlier, protest leaders in Nigeria who were arrested after demonstrating over the abduction of nearly 300 teenage schoolgirls were released from a police station in Abuja. Saratu Angus Ndirpaya of Chibok town said State Security Service agents drove her and protest leader Naomi Mutah Nyadar to a police station on Monday after an all-night meeting at the presidential villa in Abuja, the capital. She said police immediately released her, but that Nyadar was kept in detention. A legal adviser for the women said later on Monday that Nyadar had been released, after being held for "close to seven hours without at least even allowing her opportunity of meeting with her lawyer, no legal representation." The adviser, Femi Adedeji, added: "It's a terrible thing for citizens protesting peacefully to be arrested, without giving cogent reason for such arrest. And such person detained for close to seven hours without at least even allowing her opportunity of meeting with her lawyer, no legal representation. We just found out that she has been released, after some period of time." 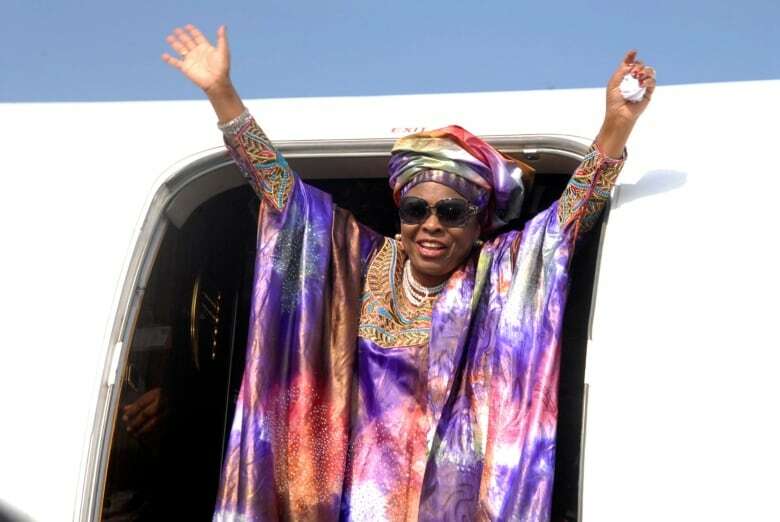 Ndirpaya said that President Goodluck Jonathan's wife, Patience Jonathan, had ordered the arrests of two protest leaders, accused them of belonging to Boko Haram and expressed doubts there was any kidnapping. It was unclear what authority Patience Jonathan would have to give such orders, since there is no office of first lady in the Nigerian constitution.